Most of the time when you’re looking for an answer to a question burning in the back of your mind, Google is your best friend. It’s fast, it’s easy, it’s simple. But with the way the inter-web works, sometimes it’s uncertain how credible the information is. Any average joe can upload a piece of their so-called knowledge online and claim they’re the best in a particular field. This is essentially how the wrong kind of information gets passed around. Wikipedia is also notorious for community edits that may be skewed, manipulated or simply inaccurate. 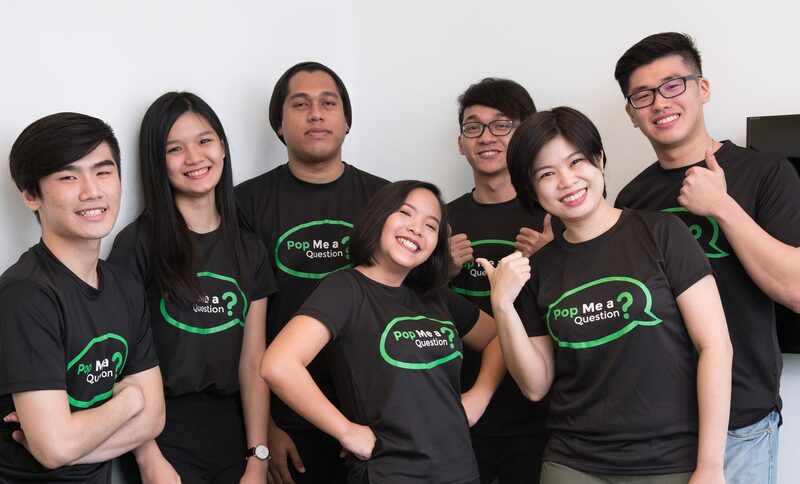 So to find a way to connect the community with experts that really know their stuff, this Malaysian startup decided to create an app that could potentially replace Wikipedia for you. One of the co-founders, Fong Kam Ling, is no stranger to running a startup. She owns another venture named ClosetStyles that launched back in 2015, a mobile fashion marketplace app. However, upon realising that many people still have trouble finding information the modern digital era, it spurred her to find a way to bridge this gap and connect people with the answers they need from true experts. “While the www is overloading us with information and general solutions, very often we do not know what information can answer to our specific questions. There are many experts out there who have the answers for you. 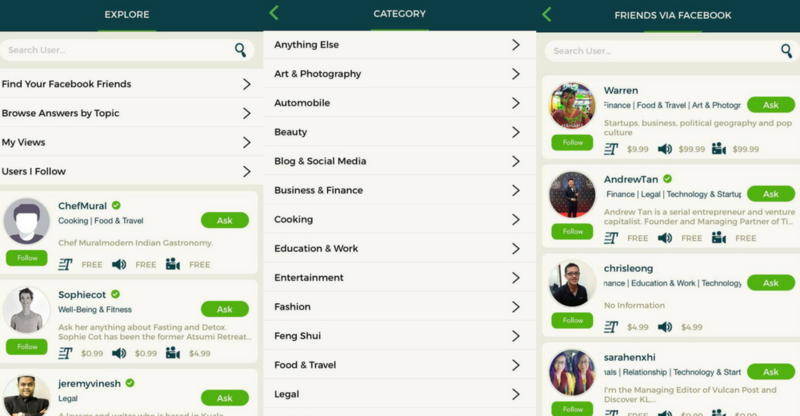 So our goal is to help people filter through the noise and clutter, ensuring you get expert answers personalised just for you,” said Kam Ling. She sought the aid of a few of her investor friends to fund her idea and thus, PopDQ saw life. Kwek Kon Chao, one of the investors, talked about how he always had a lot of questions where he needed answers from verified sources. These were tricky to get through a quick Google search, so an app like PopDQ with verified experts on hand can be an alternative. The app saw a soft launch in November 2016 and officially came to the stores the following month. Most of the users come from Singapore and Malaysia but they are expecting for there to be more diversity in the future. 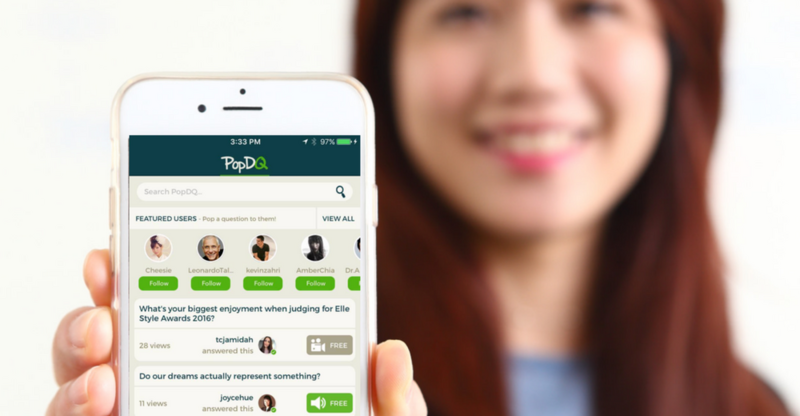 PopDQ allows users to submit questions and answer questions. You can charge people to ask questions, and you can also put a price on viewing the answer. Yes, you can earn money from answering strangers’ questions, or even from asking them. This money comes in the form of credits, which you can also purchase in-app. Some of the notable figures on PopDQ. The app is open to regular users but also brings in experts in their fields. 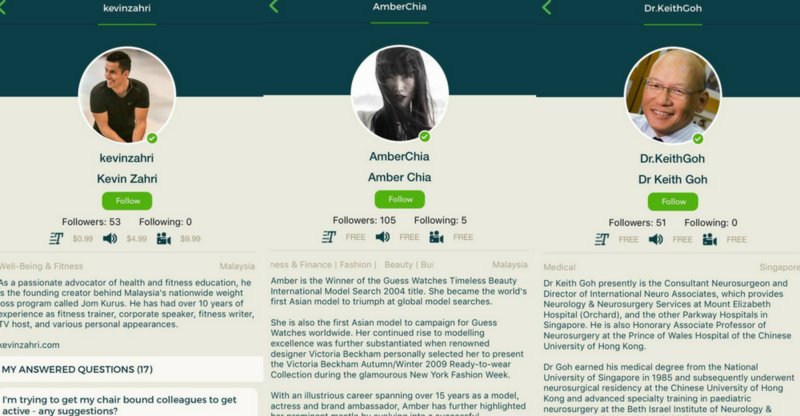 They also curate Featured Users, which usually consist of celebrities and industrial experts. To get started, you can just sign up for an account on the PopDQ app, fill in your profile with your qualifications and interest. Then, you can start taking in questions or sending them out. The different ways of how to give answers on PopDQ. Other users can now ‘pop’ questions over to you. Answers can be in text, audio or video which will be specified when a question is submitted. Every Q&A exchange is open for public viewing, but askers can opt to charge other users for ‘pay per view’. The earnings collected from these views will be shared between the askers and experts. Screenshot of the explore tab functions. If you can’t find the expert you’re looking for, there is an explore tab where you can search for topics as well as browse based on categories. 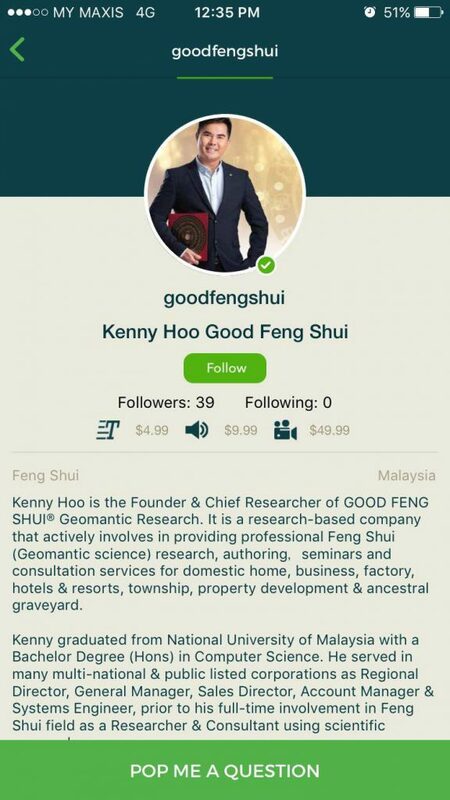 The categories cover a wide range of industries and expertise including Finance, Technology, Feng Shui, Cooking, Legal and more. You can also pop a question to Professor Puppet, their know-it-all professor, who can help you with getting the answers. 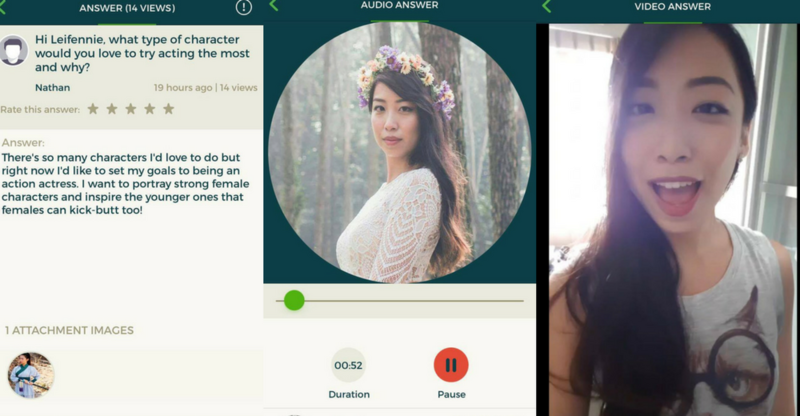 This model is seen before through Reddit’s Ask Me Anything, except with this app, it allows both the askers and the answerers to earn cash too. You’ll see that most of the experts accept questions for free while some may charge to discourage spam or inappropriate questions they may come across. An example of some of the charges for questions on PopDQ. Questions can be anything within the industry chosen. There have been those asking resident psychologists to share helpful tips on how to deal with depression and stress while some consulted fitness gurus joining to know more about yoga, meditation, detox and different paths to a healthy living. “That’s what the app is creating: synergy. Though the questions are specific, fragmented and seemingly random, a user browsing through our feed is able to find solutions to their everyday life problems,” said Kam Ling. Once you’ve earned a certain amount, you can either cash it out, or convert it to credits so that you can ask more questions. 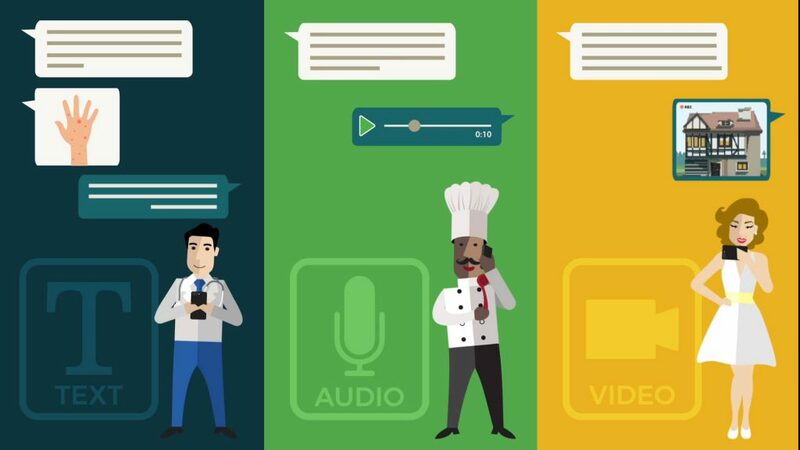 Since its beta launch, the app has seen users responding positively to the fact that they can get 1-to-1 personalised answers to experts from different fields. 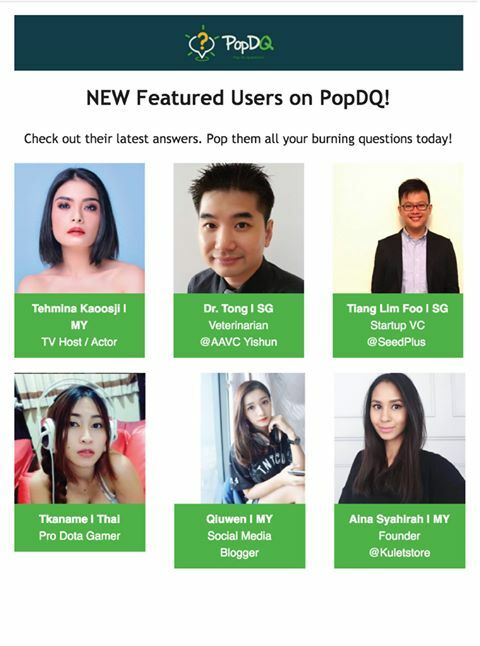 PopDQ also has guidelines in place when choosing their featured users which appear on the main page of the app. “Mostly are through introduction of reliable sources and we double-check their identity and credentials. Some sees the value of joining as an expert, establishing an expert portfolio for them too so they wrote in asking to be featured,” said Kam Ling. So far, they’ve brought people like Teddy Zee (an Executive Producer for several Hollywood movies), and Chef Thiago (Dessert Professional Magazine’s “Top Ten Pastry Chefs in North America”) on board. Their goals in the near future while upgrading their app is to further expand their range of international celebrities and experts available. They also plan to have an anonymous feature where users can ask private questions too. 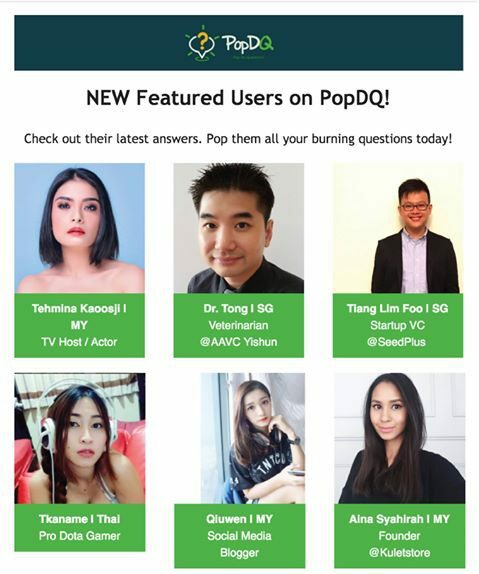 The team believes this app is a gamechanger on how people can gain and learn credible information and they see the unique point of PopDQ being the interaction between the experts and how people can share what they know with each other while growing in their area of expertise. “For example, social entrepreneur, Ivy Bishan popped a question to psychologist, Joel Low on how to console new parents who just found out their new-born baby is brain-damanged. Such interaction and sharing reassure us that we’re on the right track, helping to build a strong community of people sharing knowledge with each other,” said Kam Ling. The app can be downloaded on from the Apple App Store and the Google Play Store.